Making decisions before an immediate need arises can offer many benefits to you and your loved ones. While it is common to plan for retirement or to draft one’s will, burial or cremation options are often overlooked. Or purposefully avoided. However, this can lead to stressful and complicated situations for any family, especially during an already traumatic event. Plans made in advance for cremation or burial are an invaluable gift to your loved ones. They allow family members to mourn and commemorate a life, rather than focus on unanswered questions of immediate arrangements. Further, a pre-need purchase will almost always be a more economical option than purchasing at the time of death. This makes planning ahead even more prudent, financially speaking. In a no-pressure and supportive discussion, Green-Wood’s memorial counselors can walk you through your options. Our commitment is to honor your wishes. If you have not yet decided what you would like, we are here to help. We will explain burial, cremation, memorialization options, opportunities for memorial services and more. No question is too simple or too complicated. We’re here to guide and support you. Green-Wood works with all funeral directors in the state and even out of state. 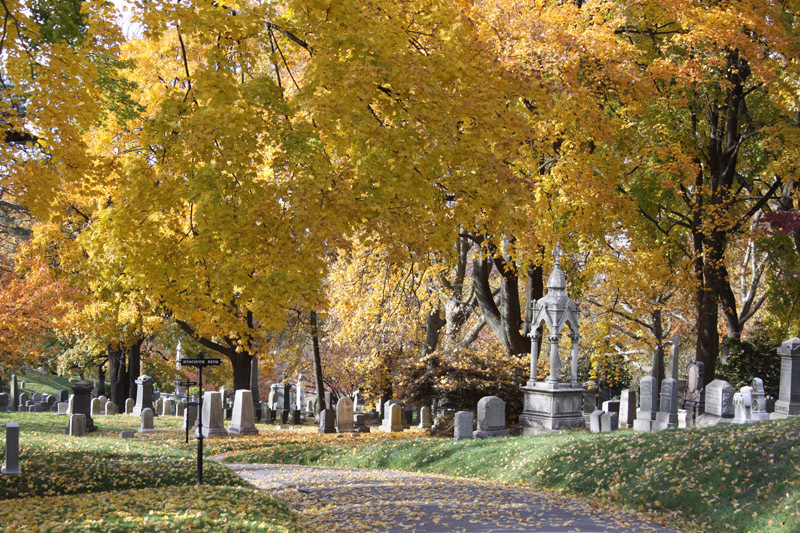 As you may know, anyone wishing to make immediate arrangements for burial or cremation in New York State must work with a licensed funeral director, who will in turn make arrangements for a burial or cremation at Green-Wood. Funeral directors in your area can be found through personal recommendations, a simple Internet search, or through your place of worship. If you’re thinking about this in advance and the need is not imminent, you’re doing a wise thing. Our memorial counselors can walk you through the options, speaking openly and supportively about your choices. We are honored that you are considering Green-Wood. Is Green-Wood Right for Me? Come visit us to find out. 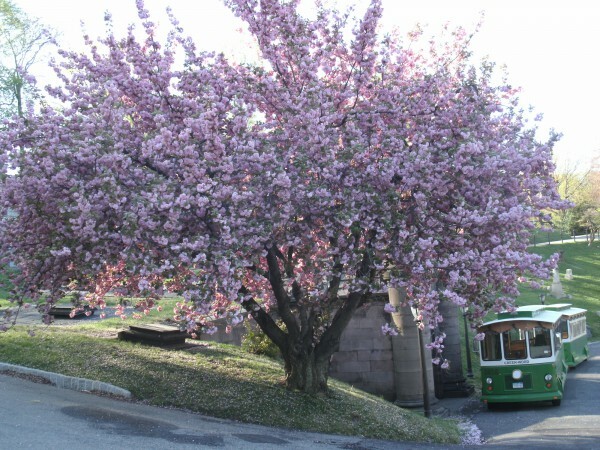 Green-Wood offers Get-To-Know-Green-Wood tours on our historic trolley with one of our memorial counselors to show available options to those considering Green-Wood for themselves or family. What if We Have an Established Family Lot at Green-Wood? Over the past 175 years, families and individuals have established thousands of private lots at Green-Wood. Many of these lots were purchased with the intention of creating a legacy, through providing a place for family members to be buried together for generations to come. 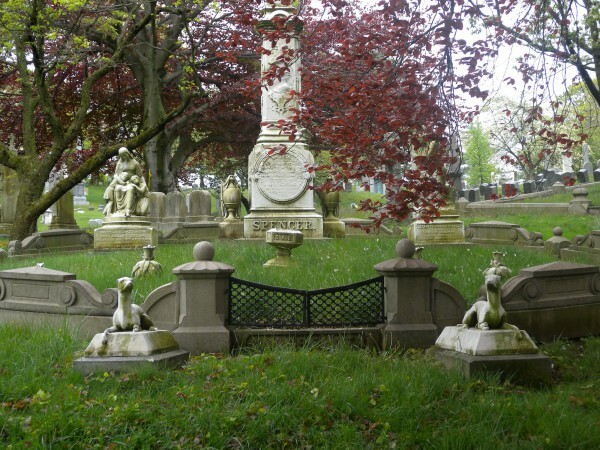 If you are a descendant of an original owner, you may have a right of burial. If you are interested in learning more about a family burial plot at Green-Wood, please contact our executive office at 718-788-7850, and our staff will be happy to assist you. You may opt to establish an endowment—commonly referred to as perpetual care—to bring additional attention to the upkeep of your burial site. Each endowed burial space is treated as a separate entity, and the income from the fund is used for its maintenance. Under the laws of New York State, the principal cannot be invaded. In accordance with the Prudent Investor Act of New York State, funds are invested in a diverse portfolio designed to produce sufficient income to maintain the site as well as to provide growth for the future. Once endowed, your burial site will be marked as an endowed plot, ensuring that it receives the attention it deserves from our experienced grounds crews. Contact our executive office at 718-788-7850 to receive a personalized estimate or to learn more.